This weekend we both had a weekend clinic in Netherlands. It was fun to meet all the students. And to see how big the interessed for LibertyDressage was. 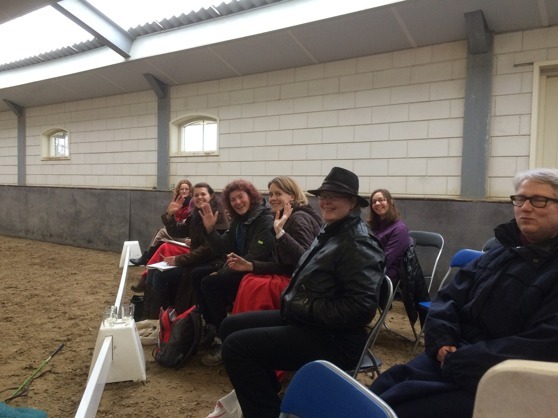 Most of the students took lessons in both LibertyDressage and Academic. 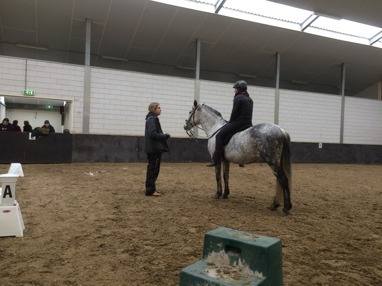 And i think the students really could see how the both way of training also helped to come further in the other way of riding. Big thanks to all of you! It was so fun to meet you guys, and to see your nice work with your ponies! And thanks Ylvie for god organisation around the clinic. Everything fine, we are up in the air., 05.50 the aircraft goes down for landing in germany...right before it reach the ground, it suddelny goes up, real fast, in the air again... the aircraft before us, just hit a couple of birds... so we hade to circle, until we could go down again for second try..
Today Christofer heading for Denmark together with Saxo! Taking lessons from Bent! And i know he will do some test..... ;-) i let you know more, when we know how it went. And i am going to get to know my new ponnie, Bubba today. Stinelo and Therese are working fulltime, with six weekstudents this week.